can bạn give me a hiển thị recommendation based on what I like? New York has a long history with delivering some very funny ti vi shows starring some very big personalities. Think “Seinfeld,” “30 Rock,” “Friends,” and tons of others that have brought big laughs as they offered up crazy stories about The Big Apple. And, they’ve also được trao opportunity for hundreds of actors to hiển thị off their comedy chops. Who doesn’t tình yêu a tasty meal hoặc good laugh? Sometimes we want to forget who we are and just disappear. But, imagine if this really happened to bạn due to a traumatic event. This is the storyline behind a gần đây episode of NBC’s long-running drama series “Law & Order: SVU.” In ‘Exile,’ actress Aimée Spring Fortier stepped in the shoes of an assault victim suffering from such a disorder – and she’s completely unaware of it when she wakes up in a hospital with no memory. Today you’re chasing down bad guys and tomorrow bạn are the bad guy. That’s the life of make-believe that every actor enjoys. One such actor is Scott Subiono, who recently portrayed good guy DEA Agent Tony Marino leading the hunt for drug dealers in the một giây season of John Singleton’s FX series “Snowfall.” Set in the 80’s, the hiển thị sets forth a gritty and dangerous tale of the rise of crack cocaine in Los Angeles. Some ti vi shows depict “normal” life, while others are out to redefine what that word even means. The recently released Season Two takes a strong approach to showcasing just how normal a person living with autism can be. From creator Robia Rashid, this family dramedy follows a teenager (Keir Gilchrist) on the autism spectrum longing for tình yêu and independence. It’s getting hot in here -- and do bạn know why? It’s because Tyler Perry’s original hot and steamy drama ‘The Haves and The Have Nots’ for OWN is back. That’s right! All the sizzle and romance has returned for the một giây half of Season Five, including the newest character Derrick David – played bởi actor Keith Burke. The new original Starz drama “Vida” has been gaining momentum since launching on May 6th. Created bởi Tanya Saracho, the buzz for the series mainly emphasizes its Latinx focused, female-driven, queer storyline. But, it would be a shame if the solid supporting cast were to go unmentioned as part of the reason for its success. 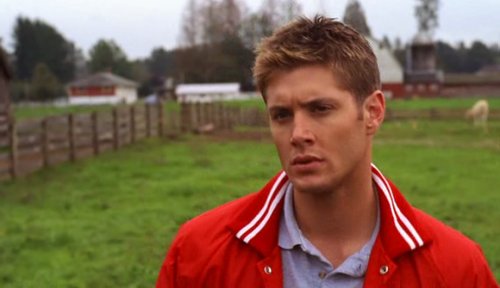 What extremely được ưa chuộng & a world famous TV series/show is this picture of Jensen Ackles actually from? 10 yêu thích TV Characters?